HX Stomp™ is a professional-grade guitar processor that delivers the sound of Helix® amps, cabs, and effects in an ultra-compact pedal. Whether you prefer to play through a traditional amp-and-pedal setup, or go direct onstage or in the studio, HX Stomp seamlessly integrates into a variety of environments and applications. Utilizing the same DSP and HX Modeling technology as its bigger Helix brethren, the HX Stomp guitar pedal nonetheless fits easily onto your pedalboard, or even in the pocket of your gig bag. There are over 300 amps, cabs, and effects—including a looper. 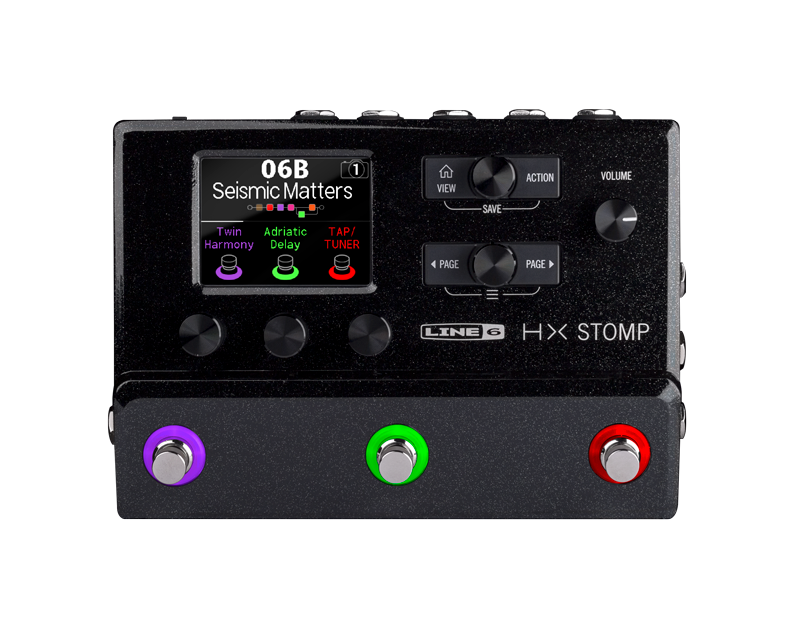 HX Stomp contains all the same HX models found in Helix family products, as well as the legacy effects library from Line 6® M-Series pedals, and stompbox modelers such as the DL4™. Use it as a "super stompbox," a backup or fly rig, an add-on tone expander when combined with other modelers, an audio interface—or even a complete guitar or bass rig. Same amps cabs and effects with one dsp , theres snapshots for delay and reverb trails din pero 3 lang, one signal patch versus the multiple signal paths of helix, LT and Native, and 6 block slots. Saan kaya makakakuha nito locally? This is good for setting up small pedal board. Bro, nakasale sa PRYMAXE. 399 usd na lang yata. Including shipping and duties from US to Pinas, mga nasa 26k yan. Awww sayang... di ko ata naabutan ito. Baka nung Black Friday sale. Science! Bad Behavior has blocked 85811 access attempts in the last 7 days.